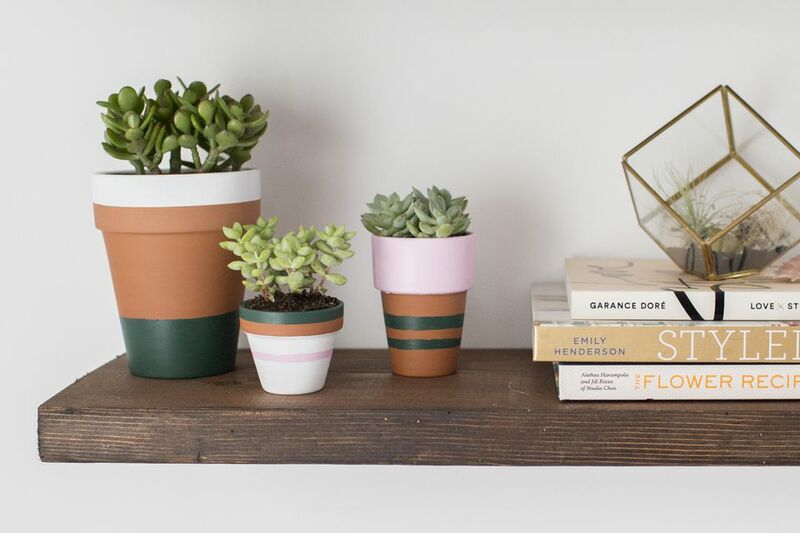 Plants are the perfect finishing touches for any and every room in your home. While it might be challenging to find the right vessels to fit your décor, don’t let that deter you. It’s so easy to create custom flower pots that are just your style with a little patience and some craft paint. Here’s everything you need to know to make these yourself! As tempting as it is to go into this project with a childish sense of wonder, it’s not the best way. We promise. 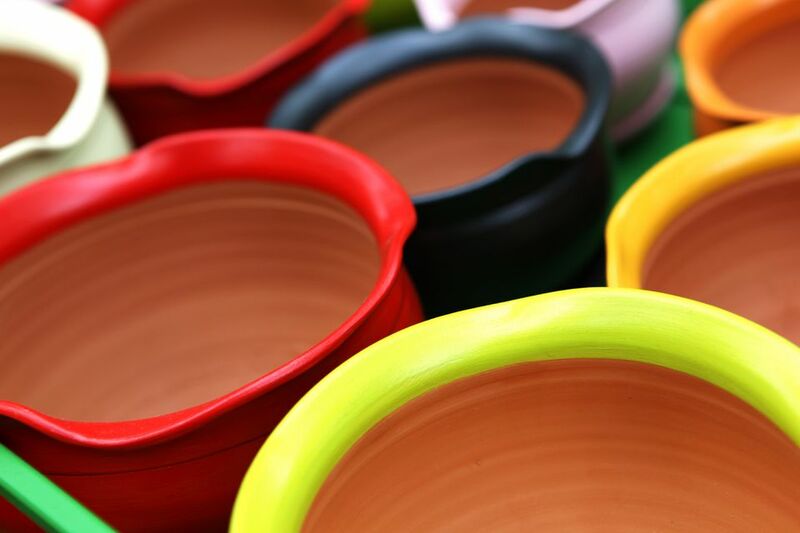 You’ll want to pull some inspiration, figure out what colors you want to use, and think about what you want to paint on each pot before you get started. Also, keep in mind that a nice tight color palette helps to tie the whole look together. In our experience, unless you’re exceptional with a paintbrush, it helps to use guides to get straight lines. Since we wanted to do stripes, we started by either taping off (for the flat straight rim, painter’s tape works best) or using rubber bands to do stripes on the curved body. When you’re using the painter’s tape or the rubber bands, remove them while the paint is still wet. If they dry, they can pull tiny pieces of paint off with them. Instead of trying to slide the rubber bands off, cut them off with scissors instead. There are two ways you can do this. One, you can put the plants directly inside the pots. In this case, you might want to consider sealing the inside with something waterproof. Otherwise, the Terracotta will absorb some of the moisture. You’ll also want to purchase the accompanying tray to place underneath each pot to catch extra water. The second option is to leave plants in their little plastic containers they come in and then slip them inside the planters. Then when you go to water, you can pull them out and give them a good soak in the sink instead of playing the will-these-overflow game. Enjoy! These little beauties will look amazing in any room you place them in.